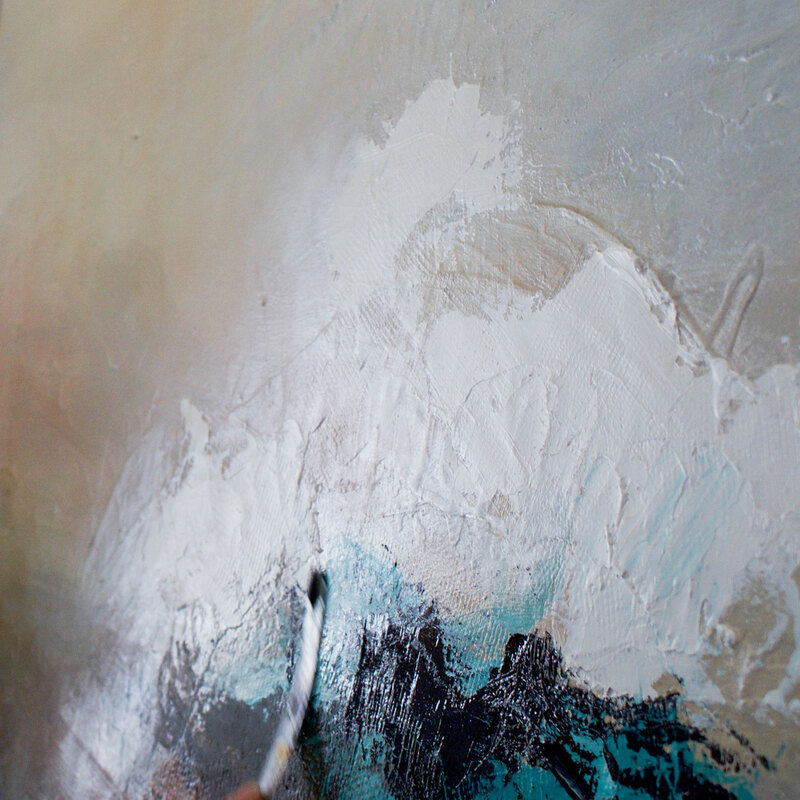 I am often inspired by land or seascapes, exploring the beauty within them. Using shifts of colour and light the paintings slowly reveal themselves hoping people will see their own interpretation. I paint instinctively and intuitively, often mixing colours straight onto the canvas and revel in the process of the unexpected, absorbing each colour and mark as it take its place. My paintings are built up over many layers – sometimes scraping away to reveal what lies beneath almost like sculpting the surface of the canvas – often moving into an unexpected direction to deconstruct a scene or to capture the essence of a moment. Always with each piece of work it is more than one element that inspires me to create – sight, smell, touch all have their place within the canvas. It is such a pure joy to be able to bring to life my experiences and for them to be enjoyed by others.